The leader of a mysterious cult-like organization called the Illuminati. The Illuminati has manipulated world events for over 2000 years, and is dedicated to the salvation of mankind and creation of a new utopia. 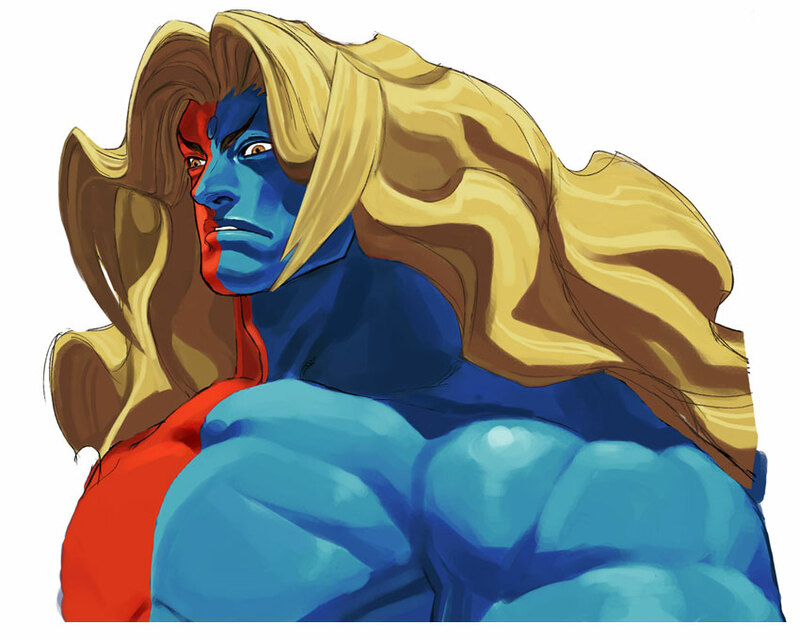 The Illuminati had genetically enhanced Gill in his youth, increasing his strength and speed, and making him even more powerful than Akuma. 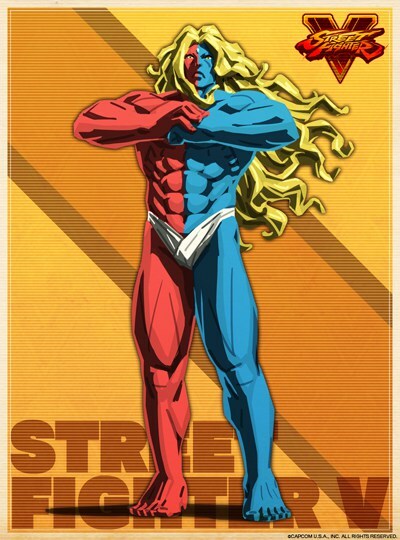 Gill participated in an intense hand-to-hand combat training program and became the top student out of hundreds of enhanced warriors, surpassing even his own jealous brother, Urien. 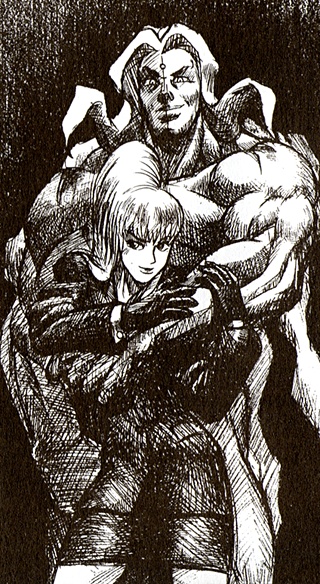 With the aid of his faithful secretary Kolin (pronounced "Colleen"), Gill organized the third World Warrior tournament with the desire of finding those strong enough to be worthy of repopulating humanity after the end of the world. 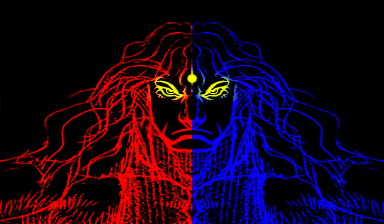 According to Illuminati legend, the soul of the previous Illuminati Emperor will be reincarnated into a new body after death. Through the results of their special training program, the latest incarnation of the Emperor was none other than Gill. Thus, at the age of 22, Gill was appointed President of the Illuminati. 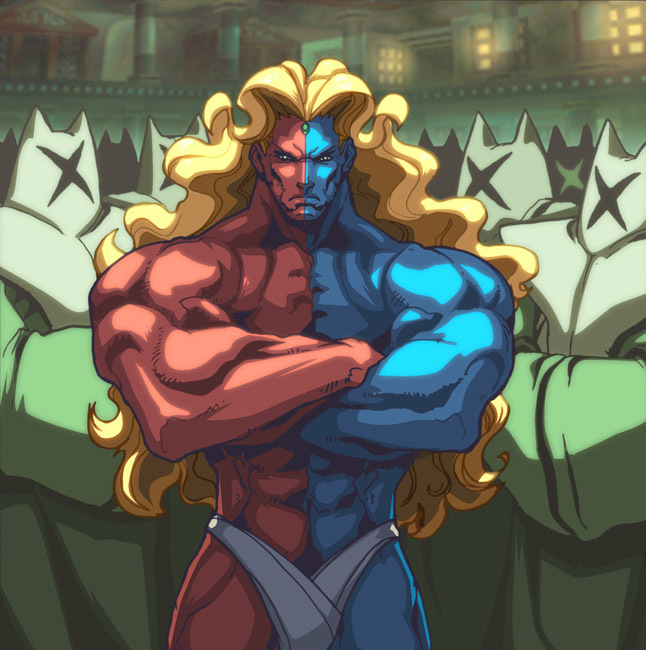 Urien was overlooked due to his emotional instability, and was appointed vice president under Gill. 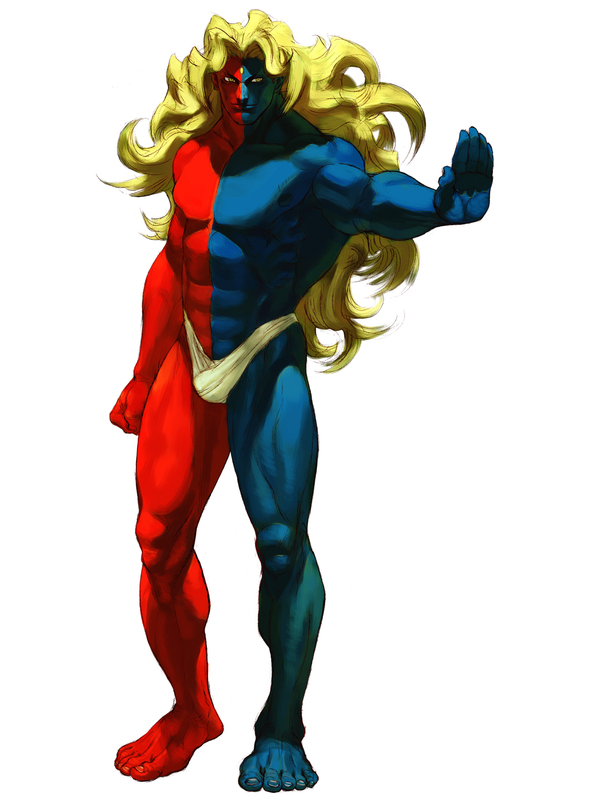 Later, Urien challenged Gill for the presidency of the Illuminati and succeeded, becoming the president. 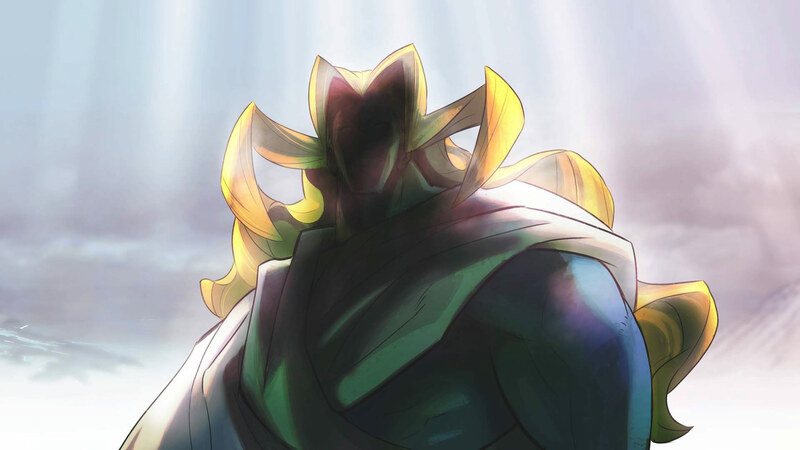 However, Gill was not demoted and was actually promoted to the level of Emperor and messiah. Under Gill, the Illuminati continued to gain power and resources, acquiring capital and estates. At one time, the organization came into possession of a Jaguar automobile from the father of a British heavyweight boxing champion known as Dudley. Gill was later challenged by Dudley in order to have the automotive heirloom returned. 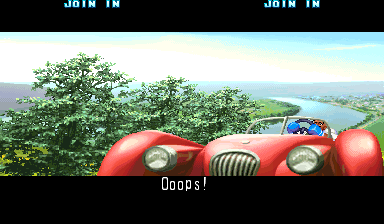 Gill, being respectful of powerful fighting ability, agreed to return the precious car as its worth was insignificant compared to what his organization achieves. 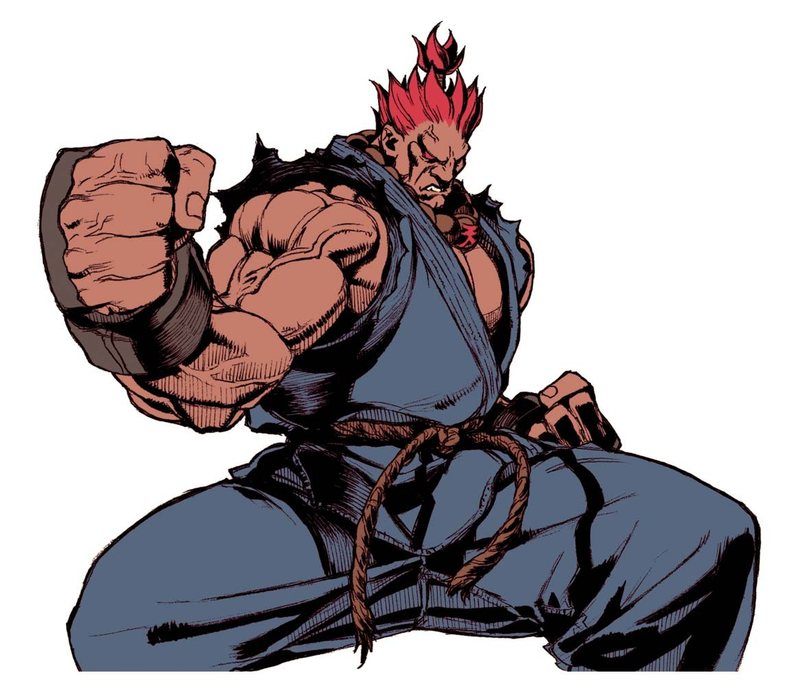 At some point during the end of the Third World Warrior Tournament, Gill was killed by Akuma's Shun Goku Satsu, but he resurrected himself immediately afterwards as Akuma walked away. 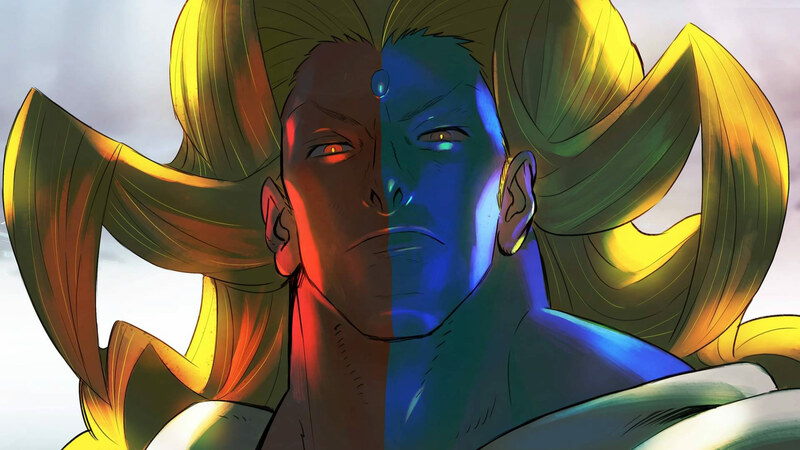 The Illuminati conducted genetic enhancements and mutations on humans, either kidnapping their subjects (like Gill) or creating them artificially (like Urien). 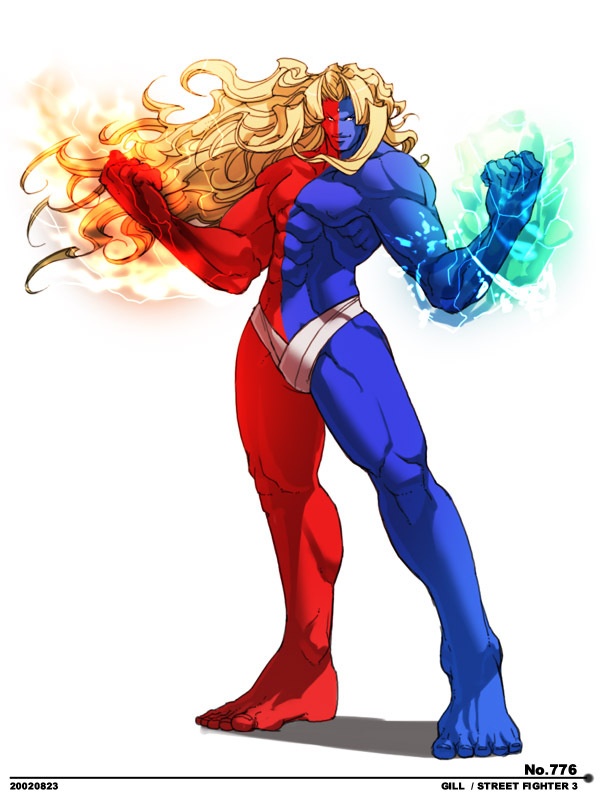 This development series was known as the G-Project, resulting in the creation of super soldiers known as Necro and Twelve, who were designed to carry out the bidding of the Illuminati. This project also led to the abduction of a young girl who was under the care of Chun-Li. 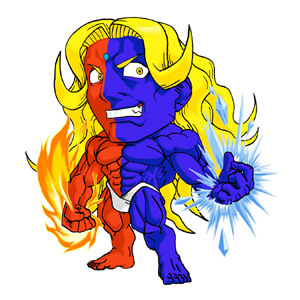 Gill is an odd-looking character at first glace, but this self-proclaimed god actually made a great boss for the Street Fighter III series. 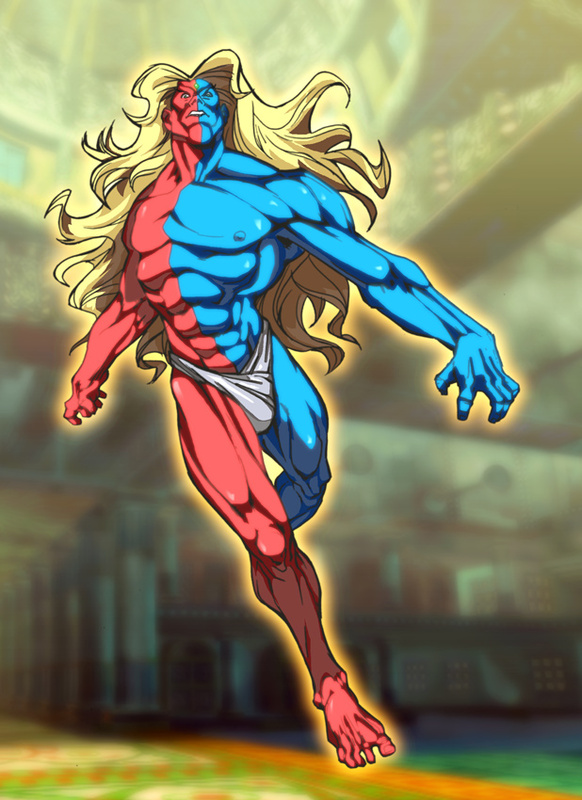 He's literally godlike, and if you've got a ripped bod like that, why wear cloths? Heh. The fact that Gill's story involves the illuminati conspiracy (which is real) is pretty awesome. And that's all I have to say about that. LOL. 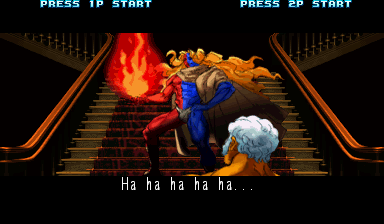 Gill is one of the toughest bosses ever and unlike many "cheap" fighting game bosses, he beats you with a certain "finesse" that just forces you to respect him. 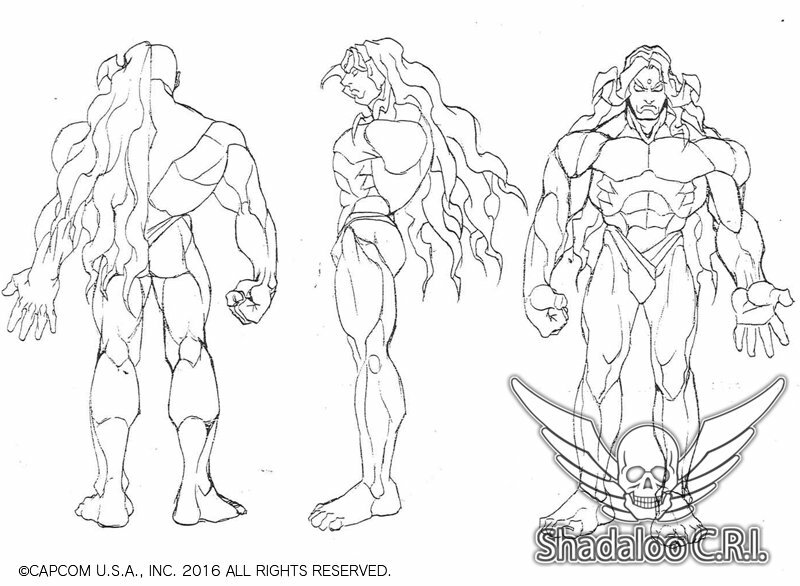 Moveset & animation wise, Gill's movements and attacks proudly show off the Capcom artists' mastery of human anatomy... simply put, Gill has some of the best 2D sprite animation ever seen in a video game. 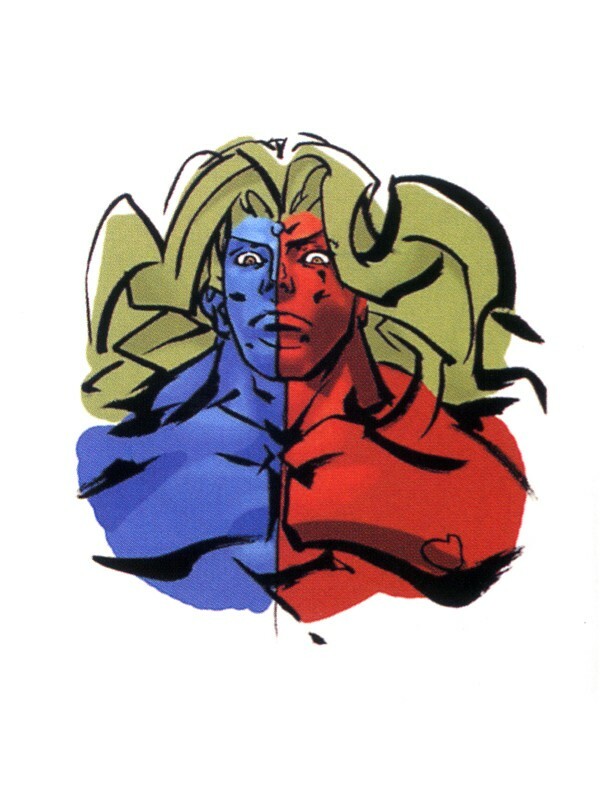 One also can't deny his voice in 3rd Strike is beyond EPIC. "Let me be the blesser of all souls... Ahhh ha ha ha ha." Even Gill's card in Card Fighters Clash is freakin' powerful.